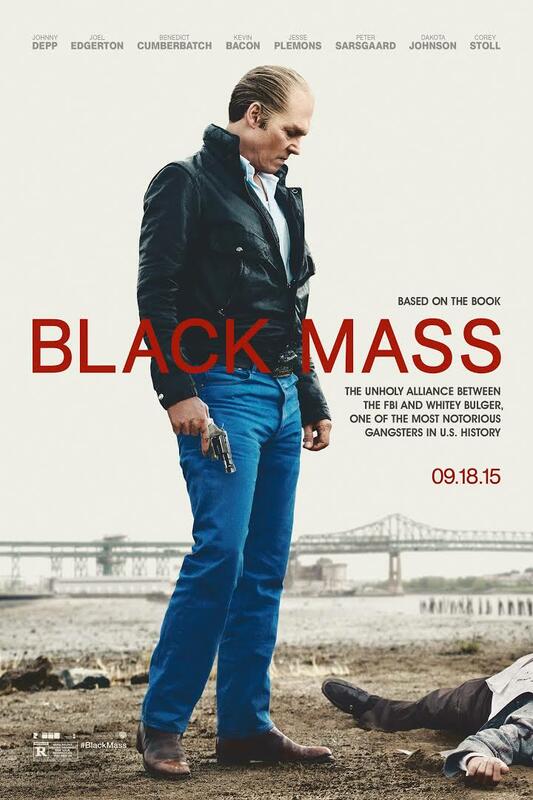 In 1970s South Boston, FBI Agent John Connolly (Joel Edgerton) persuades Irish mobster James "Whitey" Bulger (Johnny Depp) to collaborate with the FBI and eliminate a common enemy: the Italian mob. The drama tells the story of this unholy alliance, which spiraled out of control, allowing Whitey to evade law enforcement, consolidate power, and become one of the most ruthless and powerful gangsters in Boston history. I didn't know much about this true story before walking into a local theater recently. All I knew was the following: Johnny Depp was playing a gangster. That was pretty much it. Sure, I could have Googled the whole plot and it's in-depth history but I decided to go in blind, see what the movie makers did. Say what you will about Johnny Depp and his personal life choices, on screen the man is acting platinum. I've been watching him since 21 Jump Street and his many roles have time and again landed him some outstanding reviews. The man can act! Just plain and simple. Some people naturally have it and some people don't. This film runs at a slow simmer for the most part, it reels you in a bit at a time. Before you know it, you're whacking guys down by the river and grabbing beers at the bar with the fellas. (Just don't put your hands all over the peanuts.) It's all fun and games until someone goes too far and the heat is turned up on this band of killers. And trust me on this, they are straight up cold blooded killers. The whole story takes place over about 20 years, yet it's hard to believe that thugs like this could have gotten away with crimes so outlandish. I guess that's what happens behind the scenes when corruption gets it's devilish hands on men of power. I'll say this, you won't leave the theater not knowing who Whitey is and fearing the Hades out of him. If you enjoy true crime stories with grit all based on the inner workings of the mob, love a well written and acted movie, then go check this out. The cast across the board is amazing! Great review! Sounds like a must-see to me!